Time is softening the memories Ed Sturzl ’71 has of his years at St. Norbert. But one event he hasn’t forgotten is the time he played basketball with some of the inmates incarcerated at the Green Bay Correctional Institution (GBCI), then known as the Wisconsin State Reformatory. 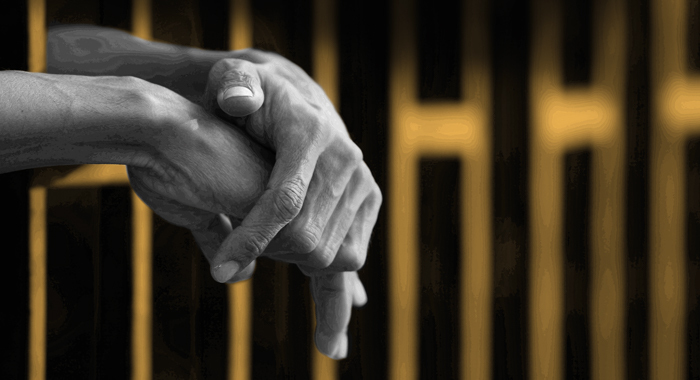 Ministry to the incarcerated is not an explicit part of St. Norbert College’s mission. And yet since its inception, the college has had innumerable interactions with local prisons and their inmates. Just a few months before the college’s founding in October 1898, the Wisconsin State Reformatory welcomed its first eight inmates. Once the Norbertines arrived, it only seemed natural that one of them should serve as the new reformatory’s chaplain. That chaplaincy tradition continues to this day, with the Rev. Jim Baraniak, O.Praem., ’88 currently in the role. More recently, SNC students regularly traveled to GBCI to participate in Challenges & Possibilities, a victim impact program for vetted inmates that included a three-day session on restorative justice led in part by former Wisconsin Supreme Court Justice Janine Geske. Restorative justice is the concept of bringing together criminals, their victims and community members in order to nudge offenders to accept responsibility for their crimes and make amends. In a twist on the concept, Geske’s sessions brought together unconnected offenders, victims and community members including St. Norbert students. The program also included guest lectures for inmates, aimed at giving them useful skills and knowledge to assist them once released. Neilson hopes the program will be resurrected so he can return to the prison. In the meantime, Derek Elkins, SNC’s Protestant chaplain, is noodling over a possible educational program for inmates. Elkins and his wife, Kathleen Gallagher Elkins (Theology & RS), used to live in New Jersey, where Elkins worked with the New Jersey Scholarship & Transformative Education in Prisons Consortium (NJ-STEP). NJ-STEP assists the state’s corrections department and parole board in providing college courses to inmates. Since his arrival at SNC, Elkins has met with officials at GBCI and the Brown County Jail to discuss the possibility of offering college courses to their inmates. Programs such as these take a lot of time and money to get off the ground. But Elkins isn’t giving up. In fact, he has opened a small consulting firm to support partnerships between colleges and correctional facilities, of which NJ-STEP is a client. Not all of the college’s involvement with the incarcerated involves traveling to GBCI. Cheryl Carpenter (Sociology) has been teaching Corrections in American Society for the last several years. The course looks at corrections systems and strategies in the United States, then analyzes whether they provide just punishments – and if those punishments effectively protect citizens. Stephanie Birmingham ’09 agrees with this assessment. A political science major with a peace and justice minor, she participated in one of Geske’s Challenges & Possibilities sessions as a community member there to witness and learn. Birmingham later returned to the prison to lead inmates in a session on relaxation and meditation. Then, after graduation, she worked 18 months with the Norbertine Volunteer Community (NVC). NVC members live and work in a diverse, economically challenged area of Green Bay, where they serve nonprofit agencies and educational programs. One of Birmingham’s assignments was to help the Brown County Jail chaplain with programming.